After a break for reasons we can’t quite fathom ourselves, here’s our pick of great gigs coming up this weekend. On Friday Les Enfants Terribles, one of our favourite monthly nights, returns to the Blind Tiger. 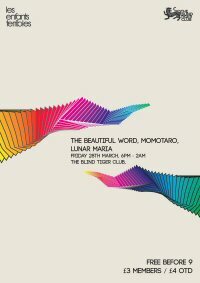 This month the fantastic Momotaro are headlining, with support from The Beautiful Word, Poles Apart and Lunar Maria. Meanwhile, over at Sticky Mike’s, Demob Happy are curating this weekend’s Late Night Lingerie. 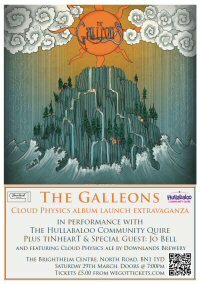 On Saturday Night The Galleons are holding their album launch at the Brighthelm Centre. Not only do they have the 60 piece Hullabaloo Community Choir performing with them, but they’ve also had their own beer brewed especially for the night. We’ve also spotted that Dark Horses are making a return with the first local gig performing material from their upcoming second album. 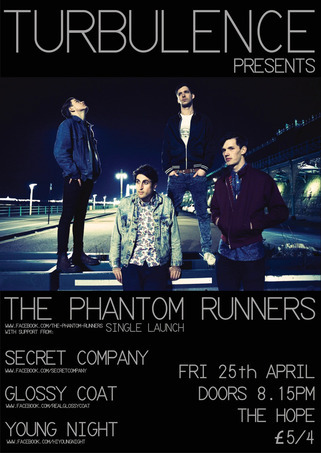 You can catch them at Sticky Mike’s supported by The Querelles and Riddles. Tonight two local acts are supporting Basia Bulat at The Hope. You can catch Bella Spinks and Heliopause on Queens Road from 8pm. Meanwhile Audiobeach Studios celebrate their fourth birthday with a showcase at Sticky Mike’s with sets from BirdEatsBaby, Nylon Sky, Echo & the Beats and Departure from Normal. Friday Night is Valentines day, and The Valentines are playing their last ever gig at the Prince Albert, with support from Fire Eyes and Dirt Royal. You can also catch Normanton Street over at the Green Door Store. Our pick for Saturday night is also two local acts supporting a touring band – Ez Stone and Ellie Ford are on the bill with Lily & Madeleine at Sticky Mike’s. 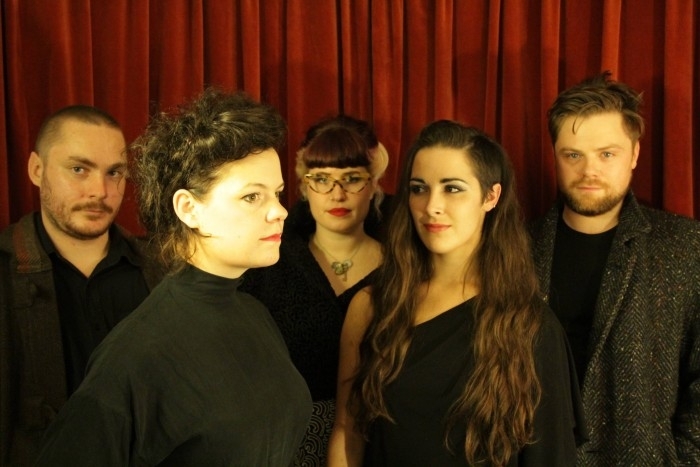 We also like the look of Derriere who are playing at the Blind Tiger. In an effort to be a little more on the ball than last week we’re posting up our Gigs of the week on Monday night. As it happens, we need to this week because there’s a lot of great gigs to mention, a few of which have already cropped up in these pages. We posted up about BirdEngine supporting Samantha Crain over the weekend. That’s happening on Tuesday night at the Komedia, and we’ll be along to cover that. On Wednesday night, Metronomy play a one off date at The Old Market to warm up for their European tour taking place in March. Their new single is the title track from forthcoming album Love Letters is out on 11th March, and has a video directed by Michel Gondry. Talking of new singles, Fickle Friends are holding a launch party for their debut single Swim at the Green Door Store on Thursday night. There’s a remix of Swim which we’re going to be sharing with you very soon, so keep your eyes peeled for that. There’s two gigs on Friday night that we’d be seen at (and hopefully with a bit of planning we will be spending a bit of time at both). 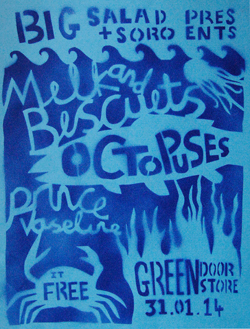 Milk & Biscuits gig at the Green Door Store has been in our diary for a while. They’ll be supported by labelmates Octopuses and Prince Vaseline. Meanwhile down at the Blind Tiger it’s the first Les Enfants Terribles of the new year and it’s got a slightly different format for 2014. The night will run from 9pm-2am and now has DJs as well as local bands. This month Transformer, Dog in the Snow, Normanton Street and NYX all play live. Last, but by no means least, on Saturday night Momotaro are holding their album launch Second Side at the Green Door Store. The band gave us a copy of the album when we interviewed them last week and it hasn’t left our stereo. See you down the front, and maybe at the afterparty at the Eddy. In a bit of our change to our weekly gig round up, which used to just focus on what was going to be happening at the weekend, from 2014 we’ll be looking at what’s going on for the whole week. We always played a little bit fast and loose with the concept of weekend, always starting on Thursdays (and even Wednesdays on some occasions), but inevitably there would be the odd gig that would slip through the net. 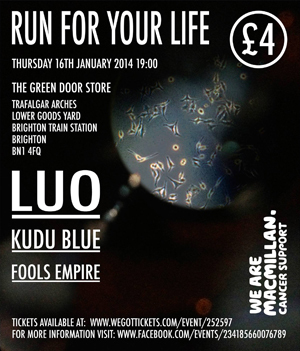 As it happens, our first post in the new format is starting with a recommendation for thursday night – Luo, Kudu Blue and Fools Empire at playing at the Green Door Store in a fundraiser for Macmillan Cancer Support. Four pound on the door goes to the charity. Meanwhile, over at the Hope, Demob Happy headline a not-so-late-night Late Night Lingerie, with a couple of French bands also on the bill. On Friday Night, Late Night Lingerie regulars Spit Shake Sisters are playing a free gig at the Blind Tiger, with Broadbay in support.Meanwhile, over at Hotel Pelirocco Japanese Sweets headline Synthesize Me. While the name Japanese Sweets may not be familiar, you’ll have probably read one of our many posts about Speak Galactic, which is one of Owen Thomas’ other projects. Onto Saturday night – The Hundredth Anniversary are headlining at the Hope alongside The Grafham Water Sailing Club and I Like The Go Go. At Sticky Mike’s, their regular Brighton Rock nights are back, with Dizzy Tales, The Evil Son, Saint Elmo and Mude this week. Our last pick of the week is Almighty Planets who are hosting monthly nights at the Blind Tiger. Amongst the supports are Brighton’s Normanton Street.